Traverse the darkest voids of space in the new beat mechanic game, Thumper. 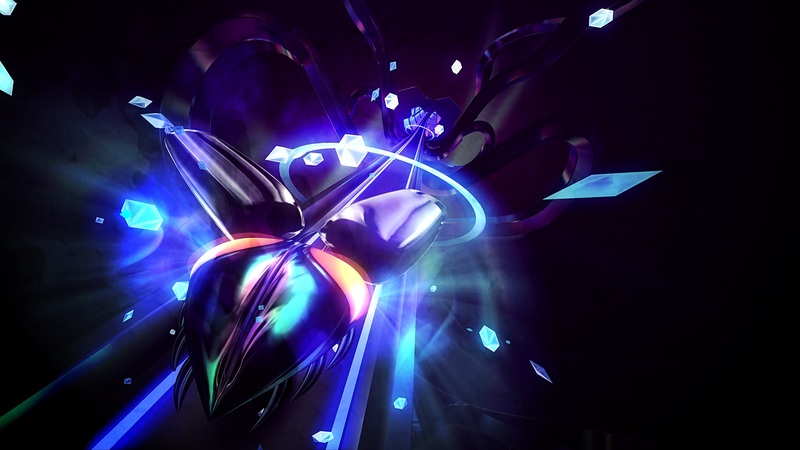 This month, a strange breed of beat mechanic game was released — Thumper. The game has received critical praise, incredibly high fan reviews, and is already being touted as one of the best beat mechanic games of all time. However, this didn’t prevent some die-hard rhythm game fans from being skeptical of Thumper. After all, the available information is both plentiful and scarce at the same time. For example, watching Let’s Plays of Thumper isn’t going to deliver the same white-knuckle experience you get when playing through it yourself. If you’re still on the fence about purchasing this incredible game, read on to learn more about what Thumper is and why you should buy it. Thumper by developer Drool is a dark beat mechanic game for the PC, PlayStation 4, and PlayStation VR. According to one Steam user Thumper the game is like playing through Audiosurf on acid, and after experiencing Thumper for myself, I definitely agree with that statement. 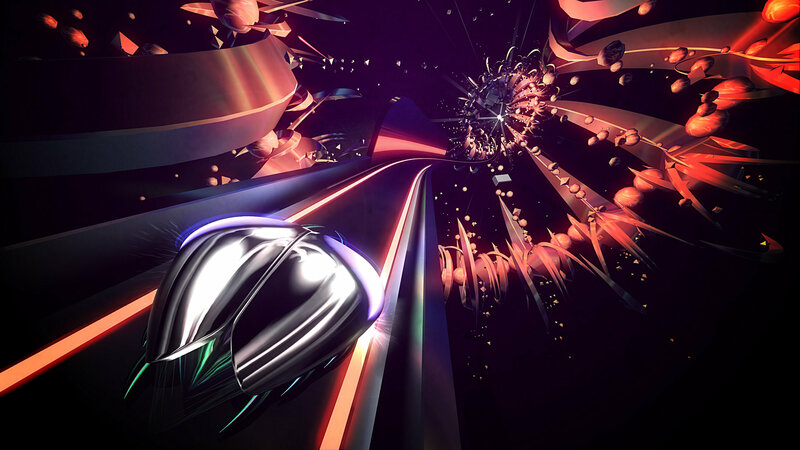 The track design in Thumper instantly pulls me back to the days when I’d spend countless hours playing through my music library in Audiosurf and Audiosurf 2. However, one of the key differences is that Thumper doesn’t allow you to tweak its soundtrack. While some may be turned off by this, it actually serves to help the game rather than hinder it. Thumper’s music is both fantastic and complimentary to the game. 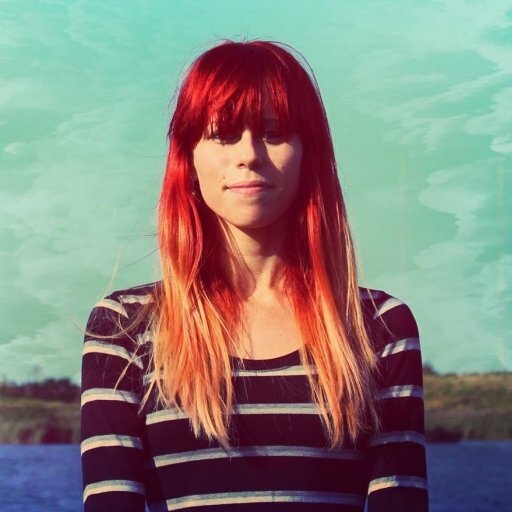 Scored by Brian Gibson of the band Lightning Bolt, Thumper features a sinister metallic beat that perfectly matches its brooding, twisted atmosphere. After playing through a few levels, you’ll start to notice the music fading into the background; it really is the perfect blend of sound effect and soundtrack. Described by Drool as a “rhythm violence game,” Thumper is creation all its own. 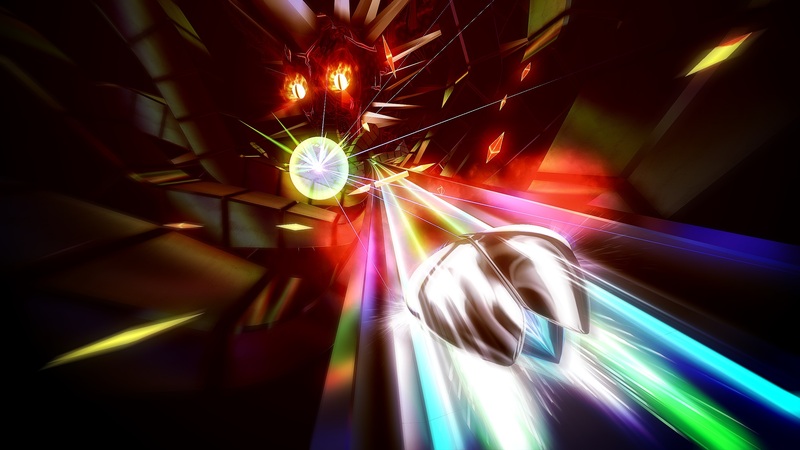 There are nine levels in Thumper, and with each subsequent level, the gameplay increases in speed and difficulty. In addition, there are boss battles including one against a boss dubbed "Crakhed." Comparable to endless runner games like RunGunJumpGun, if you damage your beetle twice during a level you’ll be instantly whisked back to the beginning to try it again. In this, the game does a perfect job of keeping you at the edge of your seat, and after seven years of development, it isn’t hard to see why Drool’s Thumper is such a masterpiece. Thumper takes inspiration from a variety of well-known sources and mixes them all together to produce a game that’s frighteningly original. I can sit and cite everything Thumper reminds me of, but the fact of the matter is, I’ve honestly never played anything quite like it. Perhaps this is why Thumper is such a hard game to explain despite the vast array of content for it online. Overall, I thoroughly enjoyed my galactic adventure ripe with wild bosses and heart-pounding twists and turns. I never knew what was coming next, and when I maneuvered correctly, I found myself extremely satisfied by how the soundtrack complimented my actions. If you haven’t purchased Thumper, I highly recommend it! To learn more about Thumper you can visit the official Thumper website, or purchase Thumper on Steam and the PlayStation Store. For more indie game reviews here at Indie Obscura, be sure to check out why Shadow Warrior 2 is one of the best games of 2016, learn more about the inspirations behind 1979 Revolution: Black Friday, and read how the cyberpunk game Hackmud pays loving tribute to 90s hacking culture.